It is 1923. Evangeline (Eva) English and her sister Lizzie are missionaries heading for the ancient city of Kashgar on the Silk Road. Though Lizzie is on fire with her religious calling, Evas motives are not quite as noble, but with her green bicycle and a commission from a publisher to write A Lady Cyclists Guide to Kashgar, she is ready for adventure. In present day London, a young woman, Frieda, returns from a long trip abroad to find a man sleeping outside her front door. She gives him a blanket and pillow and in the morning finds the bedding neatly folded and an exquisite drawing of a bird with a long feathery tail, some delicate Arabic writing, and a boat made out of a flock of seagulls on her wall. Tayeb, in flight from his Yemeni homeland, befriends Frieda and, when she learns she has inherited the contents of an apartment belonging to a dead woman she has never heard of, they embark on an unexpected journey together. 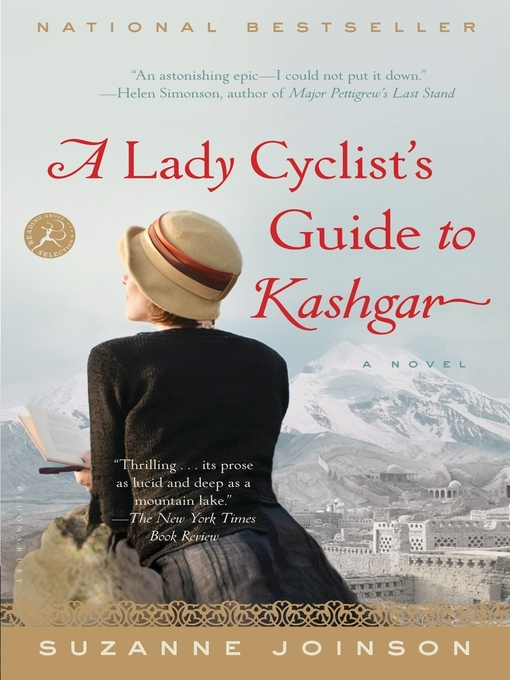 A Lady Cyclists Guide to Kashgar explores the fault lines that appear when traditions from different parts of an increasingly globalized world crash into each other. Beautifully written and peopled by a cast of unforgettable characters, the novel interweaves the stories of Frieda and Eva, gradually revealing the links between them, and the ways in which they each challenge and negotiate the restrictions of their societies as they make their hard-won way towards home.